This post was originally posted May 14, 2013 on Reclaiming Futures' blog. Since 2003, Washington D.C. has seen a 43 percent decline in children placed in foster care. Though some progress has been made we are still seeing greater numbers of families struggling to access the resources they need to stay together when compared to the rest of the country. Our nation’s capital has one of the highest child poverty rates in the country with nearly 50 percent of youth in Ward 8 and 40 percent of youth in Ward 7 living below the federal poverty line. In 2011, Ward 8 had the highest unemployment rate in the nation. These same wards are predominantly African-American and have the highest rates of children entering the child welfare system, of which 99 percent are youth of color (93 percent African-American and 6 percent Latino) according to research in Fostering Change, the latest report put out by the Justice Policy Institute. Fostering Change shows how family and neighborhood poverty are two of the strongest predictors of child maltreatment, and that the conditions poverty creates can ultimately lead to a child being removed from their home. When considered in a broader socioeconomic context, poverty becomes more than the absence of income and or earning potential—that is, a lack of work opportunities, quality or not, to support oneself and her or his dependents. It is also dealing with the collateral effects of not being able to take care of basic needs such as buying food, medical care, school supplies and adequate clothing or paying for transportation, utilities and rent. These are just some of the conditions that can lead to children being maltreated. JPI’s report found that abused and neglected children are 59 percent more likely to be arrested, 28 percent more likely to be arrested as adults, and 30 percent more likely to commit a violent crime. In 2011, half of youth under the supervision of the District’s juvenile justice agency, Department of Youth and Rehabilitative Services (DYRS), were from Wards 7 and 8. Whenever the drug czar speaks or releases a statement or report, it is typically a hailstorm of disappointment for me. He and the administration he represents continue to be out of touch with the pulse of the nation when it comes to drug policy and are willing to adhere to harmful and unproductive policies. The latest National Drug Control Strategy, pitched as a change in tactics away from a punitive, criminal justice model and toward a public health model, is just another disappointment. 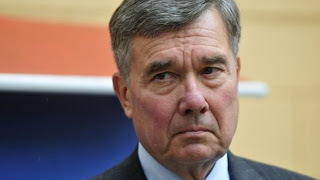 I recently saw Mr. Gil Kerlikowske speak at the Wilson Center in Washington, D.C., on a panel of experts. Within minutes the disappointment tsunami began to wash over me. Here, I’d like to elaborate on two of the biggest disappointments I endured during that event. Disappointment #1: First, despite professing to shift away from a morality-driven punitive response to drug use and toward a system that addresses drug issues from a public health perspective, Kerlikowske’s vision of how that looks is just more of the same. An audience member asked how he plans to promote treatment when users still face criminal prosecution. Kerlikowske eagerly jumped into an explanation of so-called Good Samaritan laws that allow overdose victims to seek help without fear of prosecution. That’s great. However, it’s kind of a red herring, isn’t it? It only applies to situations of overdose, not drug users who recognize the need for help without overdosing. It also does nothing to encourage casual drug users to stop using beyond the age-old threat of prosecution.